Comfort and moisture-wicking tech with covert storage. 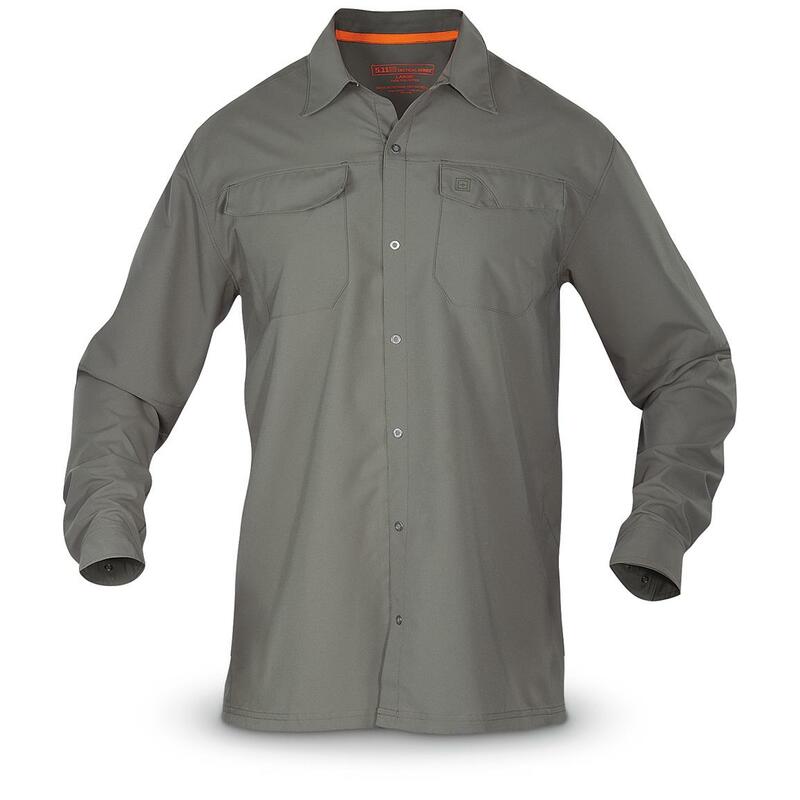 The Freedom Flex Shirt from 5.11 helps keep you cool and comfortable all day long. It's flexible, lightweight for indoor and outdoor wear. 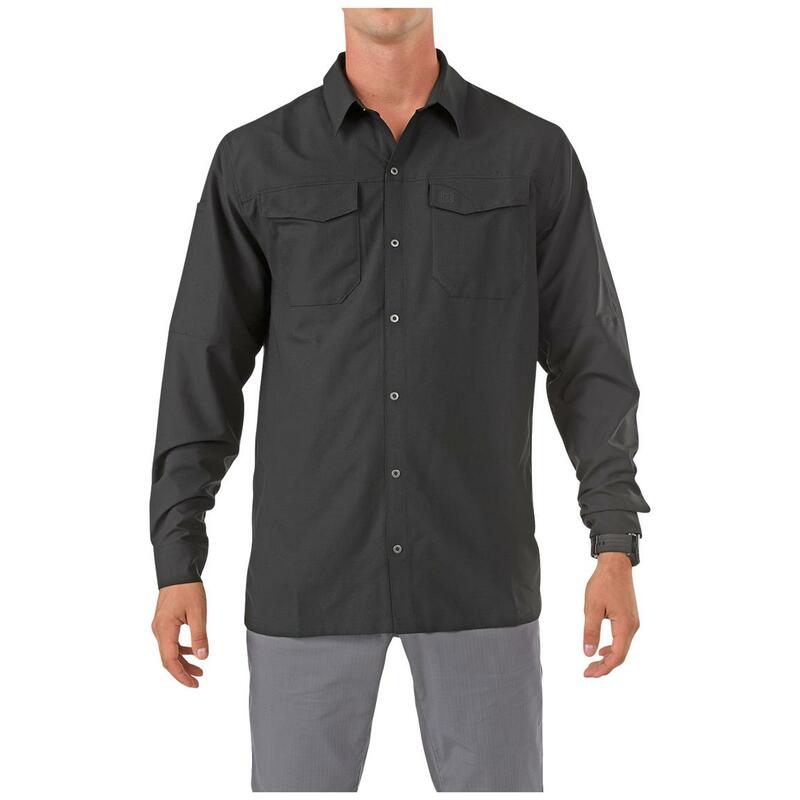 The Shirt is made from 100% polyester fabric that promotes mobility and wicks moisture away from your body to keep you cool and dry. Dual pockets on the chest offer convenient places to store small accessories. For concealed carry use, the RAPIDraw center-snap front allows for quick and efficient access to a shoulder holster. 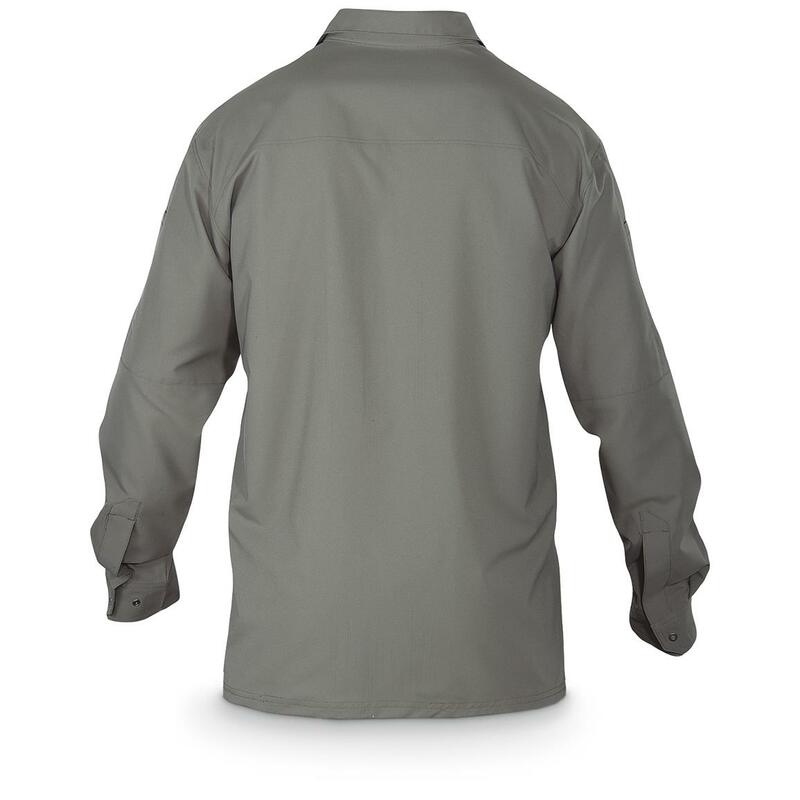 The finished hem allows it to be worn tucked in or untucked, giving you a comfortable, functional shirt, suitable in most settings. Order this new generation Shirt ONLINE today!